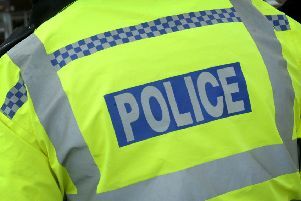 Thousands of pounds worth of cocaine were found after police raided a home in Navenby, Lincoln Crown Court was told today (Wednesday). Officers searched the property at Manor Farm, Navenby, in November 2016 and found 76g of cocaine with a street value of £2,800 together with 2,000 diazepam tablets inside a tub. As the search continued they discovered a further 278g of cocaine which had a purity of 82 per cent. The drugs were being held by personal trainer Philip Dyer who was using a garage at the premises as a warehouse to store drugs. Two illegal stun guns were also found at the property. Mr Plant said Dyer was also involved in a series of frauds to obtain high performance cars including vehicles such as a £62,000 Mercedes and another worth £53,000. He also obtained high value Porsche and Mercedes vehicles. The cars were bought on credit by James Dunsby who claimed he was earning £57,000 a year as a design manager although he held a different position working for an upholstery firm at a salary of £22,000. Dyer made repayments on the vehicles but an investigation began after he defaulted on one of the payments. The vehicles were later recovered although the finance companies lost out by more than £35,000. Philip Dyer, 37, of Burton Waters, Lincoln, admitted possession of cocaine with intent to supply and three further charges of illegal possession of drugs. He also admitted conspiracy to defraud and three charges of fraud. He further admitted four charges of possession of criminal property and possession of a prohibited weapon. He asked for a further offence of fraud to be taken into consideration. Dyer was jailed for a total of six years and four months. Judge Andrew Easteal, passing sentence, told him: “You are a con man and a money launderer. For around four years you were actively, busily and intelligently involved in a whole series of frauds and financial crimes. “You lived that life. There were fast cars and you had the physique to back it up. No doubt there were many people in awe of you and felt intimidated by you. “It was all just an illusion. It was just base dishonesty. It is pathetic. It is all the more sad when it was carried out by someone who has the intelligence and wit to do so much more with his life. “Whilst all this was going on you were involved in drugs too. James Dunsby, 35, of Bramley Road, Long Eaton, admitted a single charge of conspiracy to defraud. He was given a 14 month jail sentence suspended for two years with 200 hours of unpaid work. Mark Watson, for Dyer, said his intention was to sub let the cars. He said that Dyer was acting as a warehouseman for the cocaine and was not involved in either the preparation of the drug for sale or supplying. Christopher Hogg, for Dunsby, said his client had no previous convictions and made no financial gain from the offence. ○ Dyer had lived an extravagant lifestyle renting properties in Burton Waters and Navenby, as well as renting prestige cars including a BMW M4, say Lincolnshire Police. In a statement, the force said officers received information that a BMW M4 had been obtained from a car company in Essex by deception in April 2016. After making further enquiries, officers located and seized the BMW from Dyer’s address at Burton Waters, Lincoln. On November 7, 2016 a warrant was executed at the home address of Dyer at Manor Farm, Navenby. Dyer was arrested on suspicion of possession with intent to supply controlled drugs after boxes of drugs was found in the garage of his house, say police. A search of the property found that Dyer was in possession of two high powered vehicles, all obtained by fraud and deception, and he was also in possession of controlled class A and B drugs, a large amount of cutting agents, three stun guns, and mobile phones. He was charged with supply of Class A and B drugs, possession of weapons, money laundering and numerous fraud offences. DC Cath Bolland, Investigating Officer, said: “We found out very quickly that Dyer was the controlling influence in a scheme to launder money earned through illegal activities, including the supply of Class A and B drugs. Dyer was able to fraudulently lease high powered, prestige motor vehicles for many years which were funded by his criminal enterprise. To facilitate this he had access to bank accounts that were fraudulently set up in the names of close family members. James Dunsby was sentenced for his part in conspiring to help Dyer gain the BMW M4 and a Porsche Panamera between 2015 and 2016, said police.